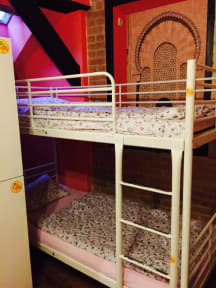 Backpacker Hostel v Praha, Česká republika: Zarezervujte nyní! To be honest, it was a disapointment. - Nobody was there to open the front door or check me in. Waiting for 30 minutes, in January outside (pissed off) - They want to charge you a tourist fee! Total non-sense. - Room was messy and untidy - Breakfast was a joke It sounds I am a chronic complainer, but after visiting a few hostels in Prague (for the same price), can say this was really poor.